Our third bathroom is located on the third floor. 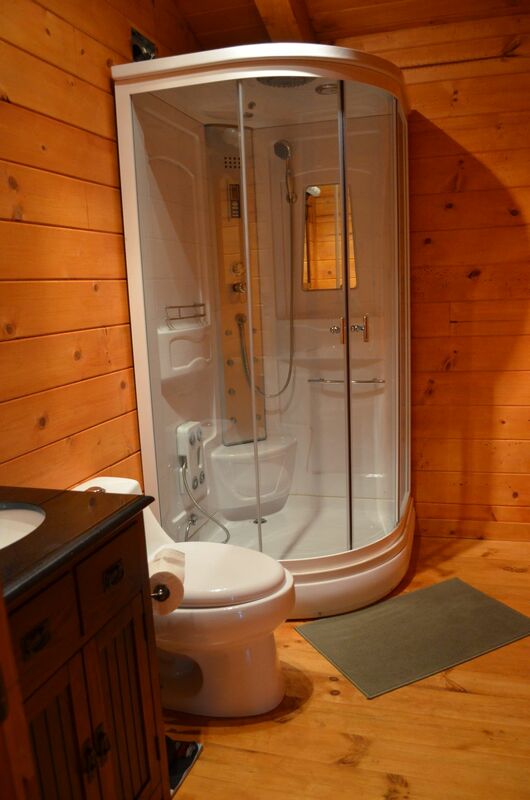 It is a wonderful bathroom. 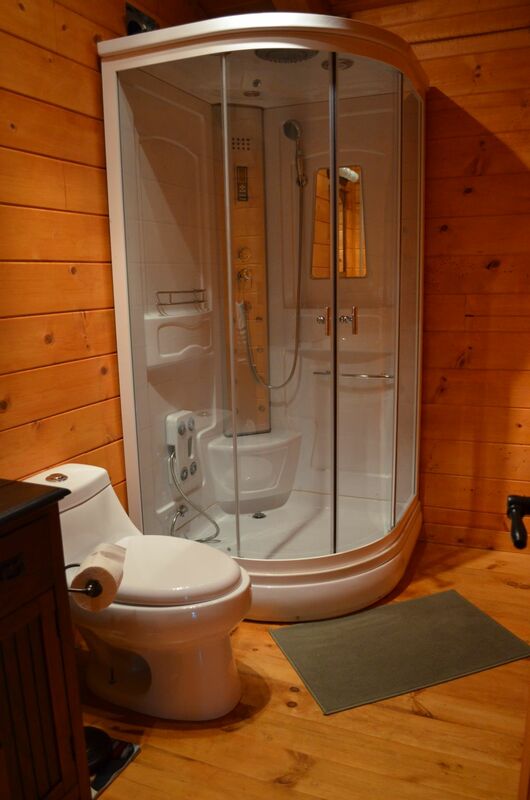 It is a full bathroom with a commode, sink, and shower. The shower has jets to massage your back, a hand wand to direct water where you want it, and an overhead waterfall nozzle that feels like rain gently falling down on you.